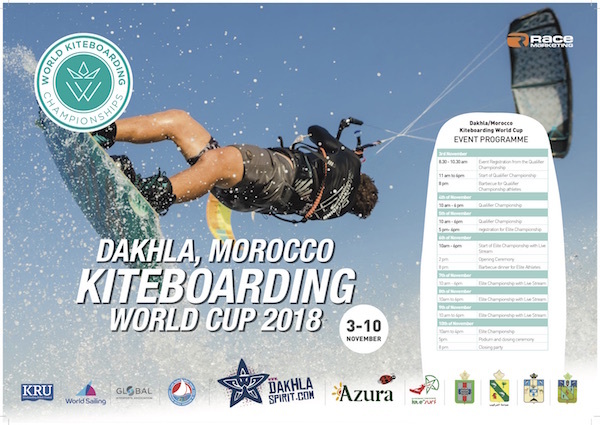 The top freestyle kiteboarders have all arrived in Dakhla for the start of what is set to be an incredible week of action. The wind took longer to kick in today, and the Round 1 for the Men commenced at 3pm. The full round was concluded by 6pm. The first heat of the day was a close one for all three riders, Valentin Garat from France, Valentin Rodriguez from Colombia and Louka Pitot from France/Mauritius. Rodriguez was keen to once again make a name for himself at this event, and managed to pull out some impressive riding from the very start, including a massive Heart Attack 5 scoring 9.03. He just managed to place himself above Garat, meaning he passes directly to Round 3. Garat rode a good heat, despite two crashed trick attempts, and finished in second position followed by Louka Pitot who started the heat well with a Front Blind Mobe and well executed Backside 315, but failed on his last two attempts. Both Garat and Pitot will have another chance in Round 2. Former World Champion Alex Pastor came up against the winnner from yesterday’s Qualifier Championship, Gianmaria Coccoluto, and Lituanian newcomer Domantas Jusionis. Coccoluto continued on yesterday’s strong performance, and cleared an impressive heat with well scored tricks, including a Backside 317 and Heart Attack 5. Alex Pastor started off strong with his KGB5 followed by his Backside 315, and finished the heat with well executed Slim7 scoring 8.2, but it wasn’t enough to advance in 1st place, as he struggled with his knee injury. Coccoluto advances directly to Round 3 after riding an outstanding heat, whilst Pastor and Jusionis will pass to Round 2. Jerome Cloetens from France/Belgium has been riding impressively well throughout the event, and today was no exception. His trick list included a Double Heart Attack and Backside 315, but he unfortunately crashed two trick attempts which cost him points. 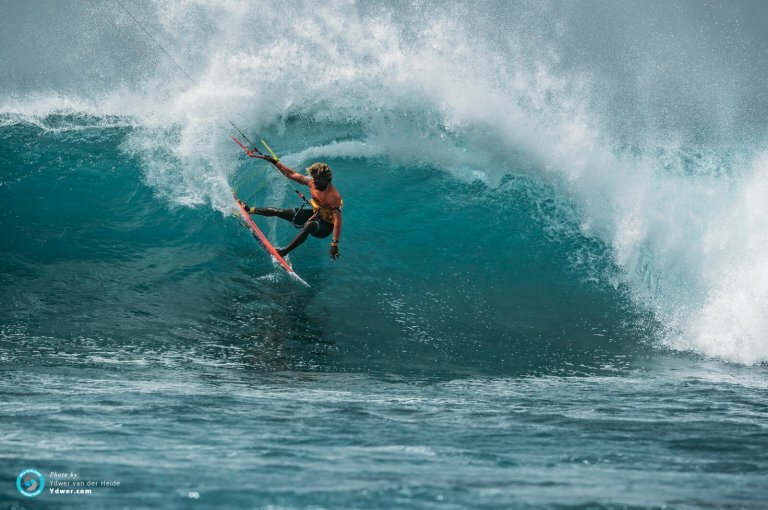 Former World Champion Youri Zoon from the Netherlands struggled to catch up to him, but made up for it towards the end of the heat with clean Slim7 scoring 8.77 which boosted him up into 1st position, allowing him to pass directly to Round 3. Cloetens and Joselito del Rosario will get a second chance in Round 2. 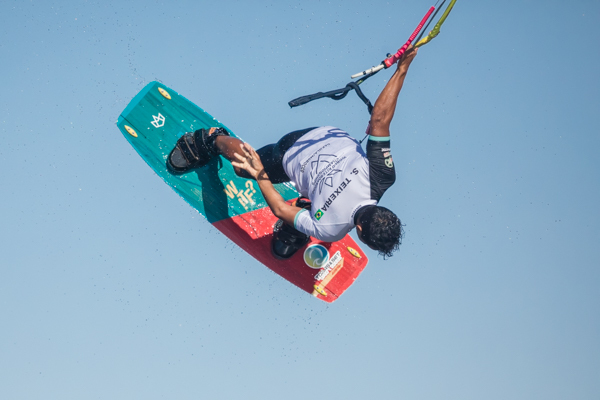 Set Teixeira from Brazil had a great start to the event, landing his tricks very consistently and with good scores. He managed to gain a large lead above his other competitors, guaranteeing him the spot in Round 3. Paul Serin rode hard to try and catch up to him, and young competitor Edgar Ulrich also from France was not far behind. Both Ulrich and Serin will have a second chance in Round 2. Adeuri Corniel has just arrived to Dakhla fresh off winning an Olympic Gold Medal in Buenos Aires. He proved that he is a versatile rider and performed some impressive tricks during his heat, such his opening Backside 317 or his KGB5. French athlete Julien Krikken pushed hard to keep up with him, landing a good Double Heart Attack. Young rider Romain Giuliano is new to the Elite Championship, and had some tough competition to deal with for his first heat. Adeuri passed directly to Round 3, and Giuliano and Krikken get another attempt in Round 2. Kalu de Sousa is another talented brazilian rider, and his performance did not disappoint for Heat 6. He lead the way through most of the heat, and landed a solid Backside 317, scoring 8.2 points. Austrian rider Stefan Spiessberger started the heat well, but two crashed attempts meant that he could not catch up to Kalu. Rens van der Schoot from the Netherlands also had a hard time, landing 3 tricks but crashing his other attempts. Kalu passes directly to Round 3, Spiessberger and Van der Schoot get another attempt in Round 2. Heat 7 was another heat full of young talent. Maxime Chabloz from Switzerland and Arthur Guillebert from France were neck and neck throughout the heat, but Arthur Guillebert managed to gain the lead landing an impressive Backside 317and Heart Attack 5. He finished the heat in first place and advances directly to Round 3, a great performance from the 21 year old frenchman. Maxime Chabloz and Lucas Ferreira pass to Round 2. The final heat of the day saw an impressive performance from local wildcard Jonas Ouahmid who opened with a solid Double Heart Attack, and nice Backside 315. Anthar Racca from Mexico pushed hard after a slow start and stomped a great Slim7 scoring him 7.3 points. Current World Champion Carlos Mario of course did not disappoint, and landed 6 high scoring tricks including his Backside 317, Heart Attack 5, and KGB5. He cleared himself the way directly to Round 3, as Racca and Ouahmid had to settle for Round 2. The day concluded after the completion of Round 1. The competition continues tomorrow with the Skipper’s meeting called for 10.30am and the first possible start at 11.30am. 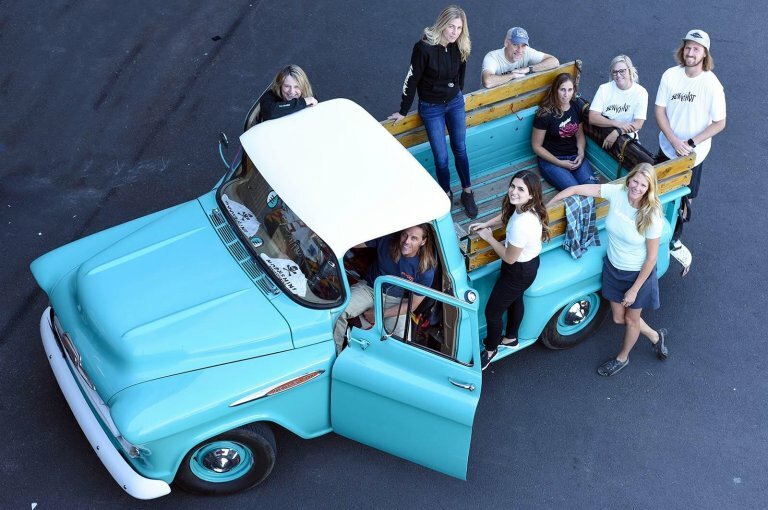 Be sure to tune in to the live stream! High res images from the competition so far can be viewed here. 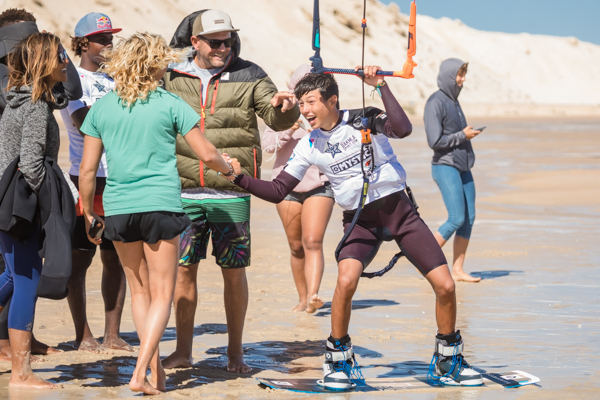 The World Kiteboarding Championships came into creation in 2018 when the KRU (Kiteboard Riders Association) felt that the World Tour needed to come back to the Athletes. 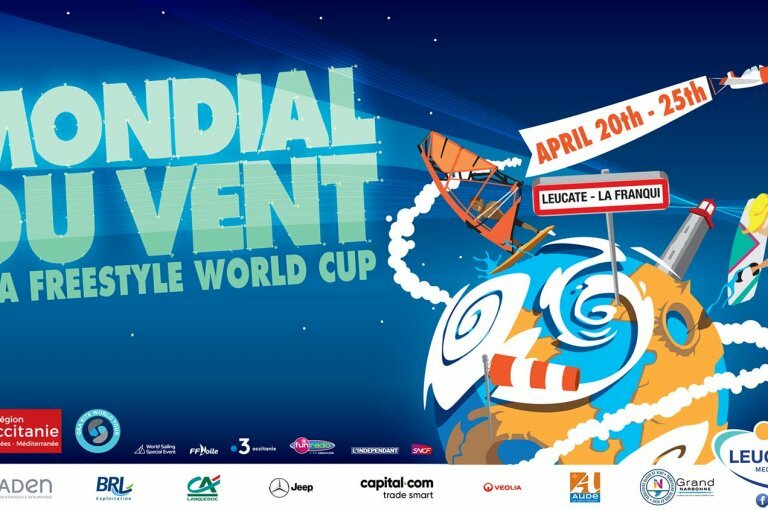 The World Tour is dedicated to the progression and improvement of World Championship events, to supporting the Athletes and creating a positive relationship between Freestyle Kiteboarding and its fans across the globe. 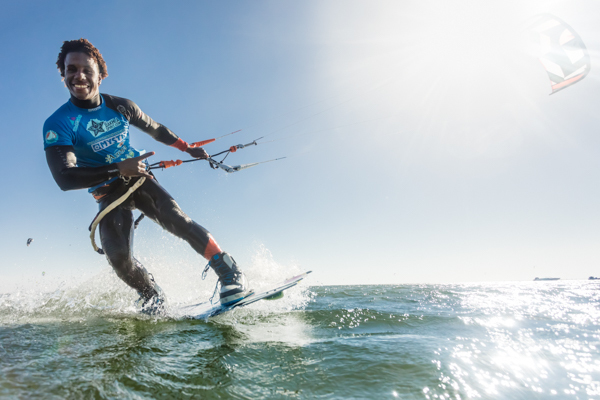 With a series of high-standard events around the World, the World Kiteboarding Championships will bring you the very best in freestyle kiteboarding. 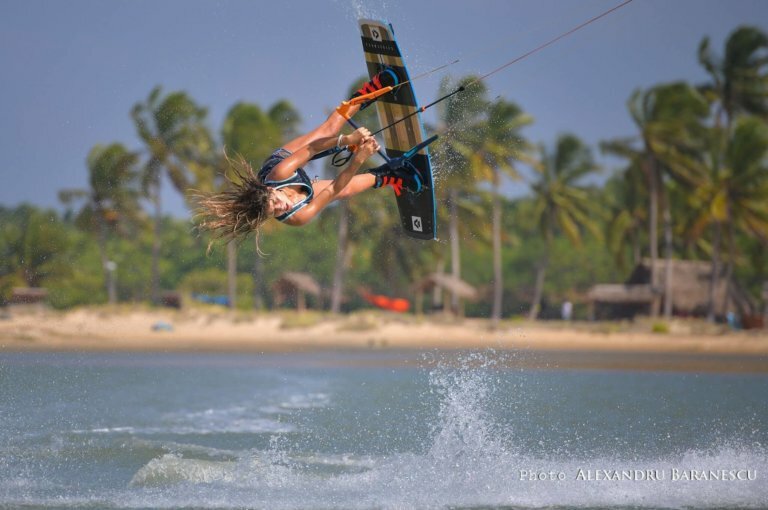 The WKC are the Freestyle World Kiteboarding title holders, and are fully sanctioned by the GKA and World Sailing.